China Glaze Nail Polish, Let The Beat Drop, 1404, .50 fl. oz. 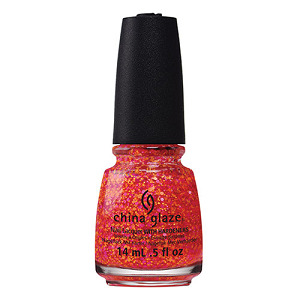 Glitter topper with multi-sized, matte hot orange, pink and fuchsia hex glitter in a clear base.